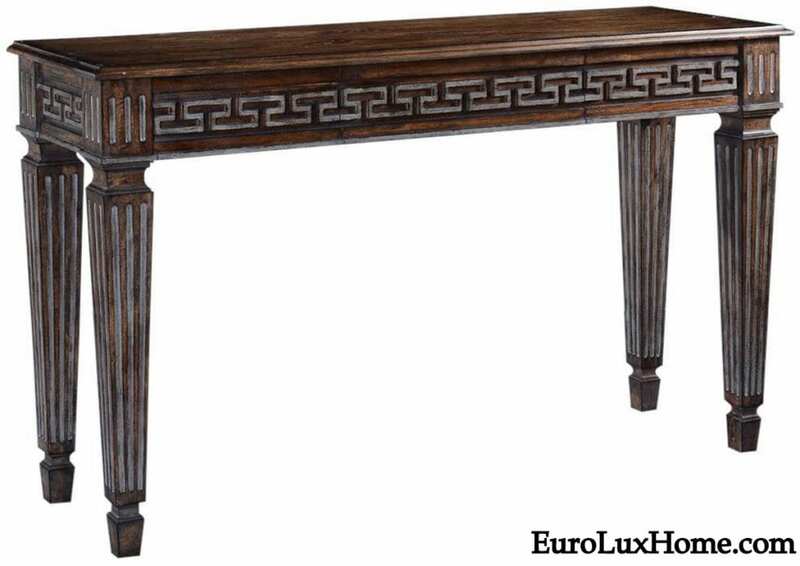 The Greek Key pattern is one of the most elegant designs in home decor and furniture. The pattern is a linear design that keeps folding back on itself in a pattern of right angles. The simplicity is very harmonious. It is very popular for any style of home, and it has remained popular for thousands of years! The geometric pattern was frequently seen on ancient Greek architecture, tiles, vases and other objects – hence the name. 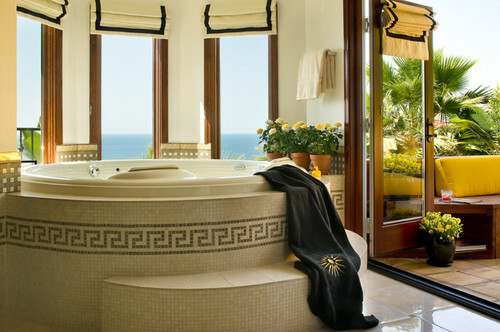 The picture above shows the Greek Key in tiling on a contemporary bath in Los Angeles and the classic effect is lovely. But despite the name, this motif has actually been seen in many other places, even before the ancient Greeks adopted it! It’s popped up in ancient Egypt and China as well as some older South American cultures. People probably weren’t reading home decor blogs back in those days! So it seems that the geometric design has a natural appeal for many different people in different ages. The original name for the Greek Key is a meander pattern, inspired by the very winding River Maeander in Turkey. It is often used as a border for tiling, ceramics, curtains, rugs, cushions and other textiles. But it can also be a filled pattern covering a complete surface. And of course it looks great on traditional architecture, like this fireplace. 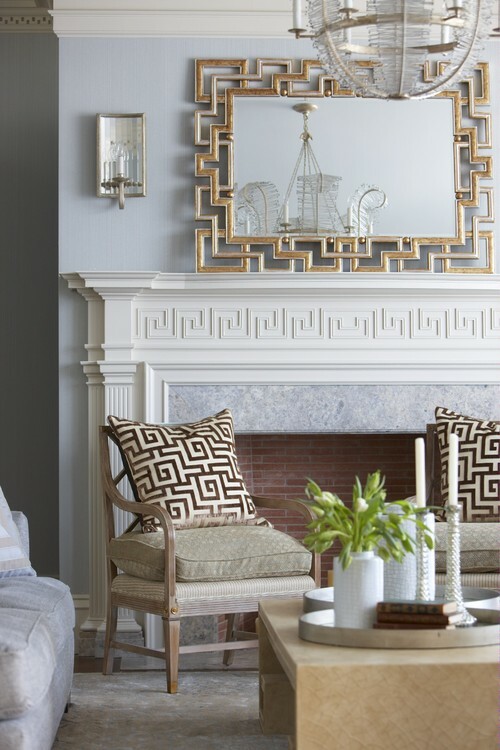 There is a lot of Greek Key design and its variations in this photo: in the fireplace, the cushions, the mirror frame. Some might find it a little too much, but it shows how the geometric element can be used and combined in multiple ways. Also, the bold pattern cleverly pulls together an otherwise simple design scheme with a neutral palette. The Greek Key design also looks terrific on furniture. We have several pieces of Greek Key furniture in our online store, including this terrific new Greek Key console table with a rustic pecan finish. It is also available in white and an antiqued walnut finish. Variations on the design often turn up in Hollywood Regency style interiors. I can easily imagine this stunning Chelsea House gold leaf console table with a dimpled glass top in a Hollywood Regency design scheme. 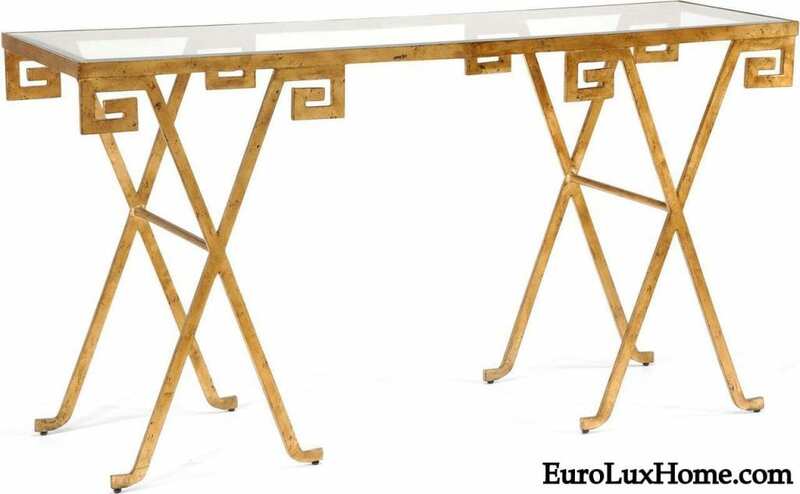 The table is quite simple, but the Greek Key accents give it a chic and refined design twist. The meander motif is easy to add to your home with lighting or other smaller home accessories. This terrific new Currey & Company wall sconce offers an elegant interpretation of the design. With the sleek design and antiqued brass finish, a pair would look superb in a bathroom, powder room, bedroom or hallway. 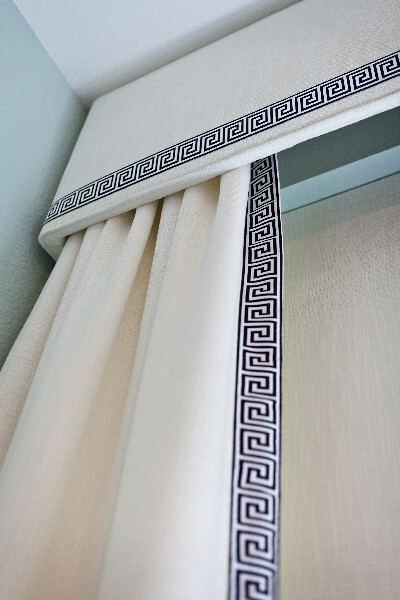 The decorative and classic Greek Key design works for both more masculine or more feminine design schemes, whether contemporary or traditional. It is often seen in black on white, but any color combinations work, as do tone on tone variations like the sconce here where the raised key gives a textural effect. What do you think of the Greek Key pattern? Do you have it in your home? Tell us about it in the comments box! This entry was posted in Home Design Ideas and tagged antique inspired furniture, bold design scheme, Chelsea House, Currey and Co, design ideas, furniture, Greek Key, high-quality reproduction home decor, home decor, home decorating, interior decor, interior design on October 9, 2018 by admin.